By 5000 BC, the Sumerians blamed tooth worms for causing tooth decay. They believed worms drilled tiny holes in the tooth, then hid inside. This idea prevailed until the 1700’s.2 Between 500 to 300 BC, in ancient Greece, Hippocrates and Aristotle wrote about teeth, decayed gums, and the use of rudimentary forceps to pull out rotten teeth. In 1210 a Guild of Barbers was established in France. During the Middle Ages the guild got divided in two. One branch consisted of physicians. While trained academics, they would not perform complex operations or see patients; they merely acted as consultants. The other branch was known as the barber surgeons, who in addition of cutting hair and performing hygienic services, were tasked with applying leeches for bleeding, amputating limbs and extracting teeth. Some people cleaned their teeth by chewing twigs, others made some type of toothpaste with crushed eggshells. There were no toothbrushes. The Chinese invented the toothbrush in 1498, but their invention did not reach Europe until the 17th century.3 In 1575, the French barber surgeon Ambroise Paré published his Complete Works, which included practical information on dentistry and how tooth decay and jaw fractures should be treated. However, it was not until 1723 that another Frenchman, Pierre Fauchard, published a book called “A Treatise on Teeth” that dentistry started to emerge as a separate specialty. His book was the first to describe basic oral anatomy and restorative techniques. Fauchard is considered the father of modern dentistry. He was the first to describe processes for dental fillings and found the correlation between sugar acids and tooth decay. In the United States, dentistry arrived with the barber surgeons who traveled with the first settlers of Massachusetts Bay Colony. 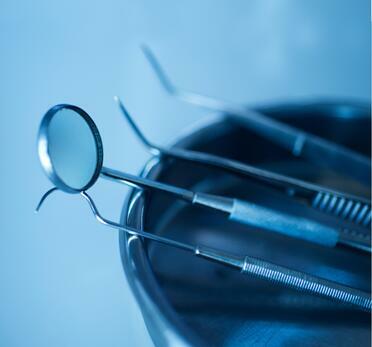 The first American-born dentist was Isaac Greenwood, whose four sons became dentists as well. The most famous was John Greenwood, who was George Washington’s dentist. In 1840, the first dental college was opened, known as the Baltimore College of Dental Surgery. That same year the American Society of Dental Surgeons (now the ADA) was founded in New York. By 1873, Colgate started producing its first toothpaste, and in 1885 the first toothbrush was made.5 In 1884, Horace Wells started using nitrous oxide as an anesthetic while performing tooth extractions. Several advances in materials and equipment followed. X-ray technology in dentistry was introduced in 1896. In 1903, Charles Land, an American dentist, started to use porcelain in crowns. This practice opened the door to a whole new era of dentistry, where aesthetics began to play an important role. Having clean extra white teeth is not only cosmetically desired, but a sign of enjoying perfect health overall. The next time you have a dental visit, stop and ponder how far the practice has come from worms, twigs and barber surgeons to the modern advances and education we take for granted today. A healthy smile is your best first impression. Find out more about Sklar’s fine line of dental instruments by clicking the button below. 1 Wynbrandt, James. (2000, August 17). 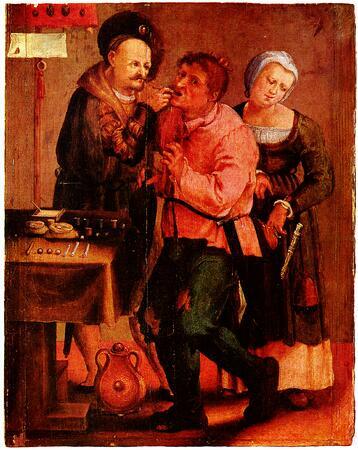 The Excruciating History of Dentistry. 2, 5 Davis, Shoshana. (2012, December 7). The History of Dentistry. 3 Lambert, Tim. (2014). A Brief History of Dentistry. 4 Ring, Malvin E. (2016, November). History of Dentistry. Encyclopaedia Britannica Online.